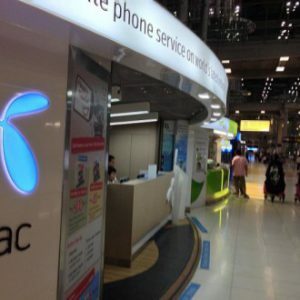 Prepaid Thailand SIM cards are easily available for tourists to Thailand both at the airport as well as in town. At the airport, outside of the International gates, there are kiosks for DTAC (blue colour), AIS (Green colour) and True Move (Red colour). Try to get your SIM card in a branded store of the provider, at airports or in malls or in 7-Eleven kiosks where you pay the original price. Many independent sellers will only sell you the SIM with a surcharge like a tourist SIM of 299 THB for 399 THB. SIM cards are also available at family mart, 7 /11, mobile retailer shops, phone kiosks and the outlets of the Telecoms. You can also buy a Thai SIM before you come on places like Amazon or EBAY, but keep in mind Thai SIMs now require registration. Note: You must show up in person. You cannot register over the internet. To check the status of your mobile phone, just call *151# and you will get an SMS message back on the status of your phone’s SIM card registration. iRefill is online prepaid refill service on dtac website that allows you to refill your Happy Tourist SIM with 3 easy steps. Select the top-up amount, and purchase your top-up credit. Of course if you would rather buy the SIM before travel so that you do not have to go hunting, or would like to visit multiple countries in the region, or would like to know your number before you travel, we have Thailand SIM card for you.